Grocery shopping may be intimidating with so many choices, but you can be sure that choosing Dakota Layers is the right choice! We’re proud to provide local stores with some of the freshest eggs around. Our eggs not only hit the shelves within 24 to 36 hours of being laid, but they’re also hitting your plate at several restaurants! 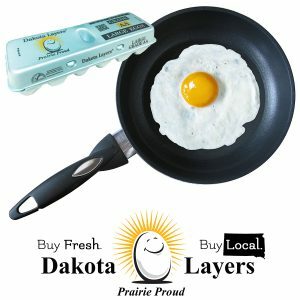 Enjoy Dakota Layers – Your South Dakota Egg.